July was a good reading month for me, both in terms of quantity and quality. I was satisfied and content in every way. This was my favorite read from July, in part because it suited the month so perfectly (and you all know how I feel about a good, seasonal read). It is a fictionalized account of Martha "Patsy" Jefferson (Thomas Jefferson's daughter). 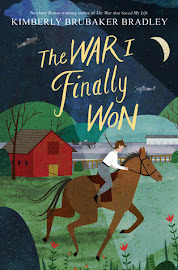 Her mother passed away when she was just ten years old, but not before securing a promise from Patsy that she would always take care of and protect her father. The promise itself seems fairly innocent on the surface--her father had just lost the love of his life; of course she would want to look after him and help him--but it has far-reaching consequences. Patsy is her father's secret keeper, pushing forward the image that the new nation expects and covering the human foibles that would turn people against him. She gives up her own heart to protect his. Much of the story is embellished and dramatized for the sake of entertainment, but I found the author's note at the end of the novel to be completely fascinating (and impressive). Every care was taken to make the story as historically accurate as possible, but where facts were not known (in part probably because Patsy herself erased portions of incriminating history), plausible details were inserted. Regardless of what is or is not true, Patsy's life was a tragic one, and at times, the heartache is almost too much to bear. I listened to this during our trip through the midwest last month (more on that in my next post) and found that this long novel (over 20 hours) was the perfect companion, especially because our trip went over the 4th of July holiday and ended at Mt. Rushmore where we all got a good look at Thomas Jefferson's stony features. In spite of its length, it was a compelling novel that I couldn't seem to listen to fast enough. 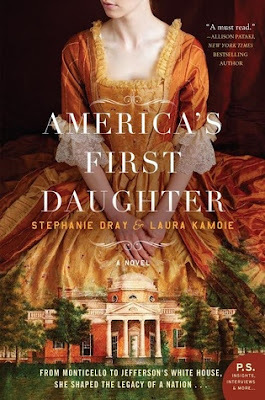 For those who love historical fiction or emotional drama, I can't recommend it enough. 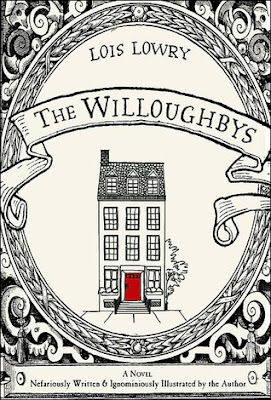 The Willoughbys are an old-fashioned family of father, mother, three sons, and one daughter. But they are not a happy family. The parents cannot stand the children (they "frequently forgot that they had children and became quite irritable when they were reminded of it"), and the children's feelings are mutual. Thus, they both devise plans to get rid of each other: the children suggest a vacation the parents can't turn down (volcanoes, alligator infested lakes, frozen mountain peaks--all perfect ways for them to meet their end), and the parents sneakily sell their house out from under the children while they're away. With that brief introduction, I'm sure you can see that this is a morbid, irreverent, and even dastardly wicked plot. Being big fans of Roald Dahl, it's just the kind of book my kids and I love, and it certainly had a lot of potential going into it. However, it lost some momentum for me when it introduced a whole bunch of sub-characters (an abandoned baby, a grief-stricken candy inventor, a no-nonsense nanny, an organizational freak, a lonely boy, and a love-sick postmaster). It was wildly entertaining to see how the different plot lines all eventually entwined with one another, but I think my interest waned because I didn't love some of the characters, but I felt forced to pay attention to them so I wouldn't get lost. 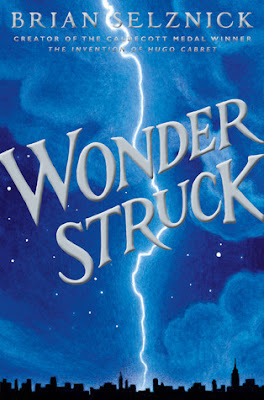 Still though, my kids loved it from beginning to end and always begged for me to read and then keep reading. There's also a delightful glossary (with explanations such as, "Irascible means having outbursts of bad temper. I myself had a very irascible third-grade teacher and it made for a miserable year.") and a bibliography of famous books at the end of the book. And it's Lois Lowry. So you know that even if I'm complaining about the plot, it isn't all bad. Not by a long shot. As a teenager, I remember reading Fifteen by Beverly Cleary and loving it, so I wanted to try one of her other young adult novels (in part, to help fulfill my goal of reading three pre-1970 young adult novels). Jean makes almost all of her own clothes because, even though she is just fifteen, her parents expect her to furnish her own wardrobe and handmade clothes are so much cheaper than ready made garments. Even though it would be just the opposite today (I speak from experience that you cannot save money by making your own clothes), the principles of frugality, contentment, and gratitude are still needed. Johnny is a real jerk. At first, I thought Beverly Cleary was actually casting him as the perfect male lead, and I was absolutely disgusted. (When Johnny takes Jean out for a soda and makes her listen to his entire radio program with himself as host, I laughed at how ridiculous it was.) 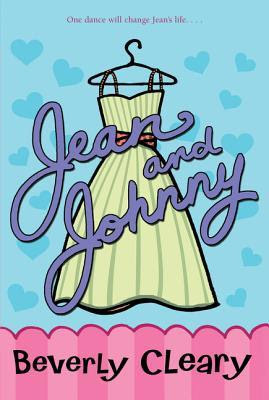 But Beverly Cleary comes around, and so does Jean, and I think it would help all teenage girls see through the phoniness of so many boys. Jean refuses a kiss on a first date. As someone who held my kisses close, I gave a silent cheer for Jean's level head. The family dynamic in Jean's home is sweet: her father and mother sit around in the evenings, meeting their daughters' dates; Jean looks up to her older sister, Sue, and seeks her advice, but then rejects it when it doesn't fit with what she wants to do. It all feels very realistic while at the same time feeling just a little too good to be true. 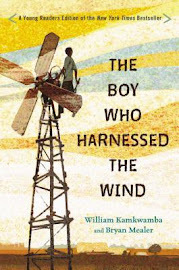 In spite of my initial reservations, I ended up enjoying this story and wish it was the kind of book teenagers wanted to read today. It is the very definition of wholesome. This was the book we settled on for our little family book club, and it was a big success. Even Mike, who hasn't read a physical book in probably a couple of years, really liked it and was actually the first one finished with it. It's definitely a book that must be read, not listened to, because half of the story is told through pictures. Ben's story takes place in 1977, beginning in Gunflint Lake, Michigan and ending in New York City, and is told through words; Rose's story begins in 1927, beginning in Hoboken, New Jersey and also ending in New York City and is told through pictures. It is an interesting format, one that moves along at a rapid pace because you read two pages and then you look at the next twenty. When we had our book club meeting, I asked everyone to tell us about their favorite moment. Mine was easy. It was the part where the two stories collided, and I turned the page and saw Ben's face for the first time. I think I actually gasped. I probably can't tell you about each person's favorite moment without giving away major parts of the plot, but almost all of them were pictures, which I found so interesting especially since they told me they liked Ben's story (the one told in words) better than Rose's. I think pictures lodge in our memories a little more easily and maybe trigger emotions faster as well. There are some mature themes with this one, not the least of which is that Ben's mother and father were never married (and Ben never even met his father). Mike and I were a little concerned about this, mostly because six-year-old Bradley was reading it, and we didn't know if we wanted to get into any hard explanations. But adults see very different things than kids, and because this relationship was merely alluded to without going into any sort of detail, it went right over his head. And we let it. Instead we focused on Ben and his adventures in the Museum of Natural History (think From the Mixed Up Files of Mrs. Basil E. Frankweiler) and Rose's loneliness in her quiet, protected world, and we marveled at this masterful storytelling. I'm going to be completely honest with this one (even though I'm sure many readers will not share my opinion): the overall message was good, a few of the stories were interesting, and there was a smattering of memorable insights, but from the beginning this felt like a trite and formulaic inspirational read that was only selling copies because of who the author was (wife of Larry H. Miller). Whew, that was a long sentence, but sometimes it's best to just get it all out in one fell swoop. 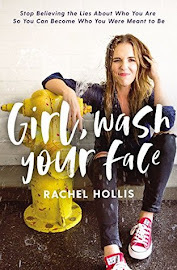 The writing itself was overly simplistic and bland (despite being co-authored by Jason Wright) and was filled with many self-deprecating statements such as, "My marriage wasn't perfect; I'm not perfect; I might look like I have it all figured out, but I don't." I'm not saying that these statements weren't sincere; they probably were. But the tone just struck me as a little bit lofty even while she was trying very hard not to be. My favorite chapter was, "Love to Serve--Serve to Love," where she shared this thought, "The only people I don't love are those I don't know yet." That alone was worth reading the book for, and I wish I could keep this statement at the forefront of my mind and really internalize and live it. 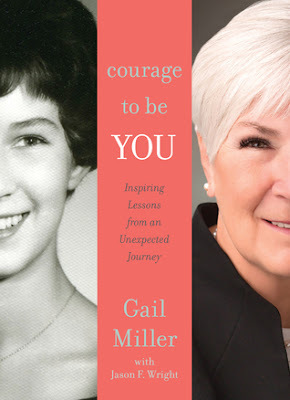 In spite of not loving this book, I think Gail Miller really exemplifies this and the other principles she attempted to teach, as did her husband, Larry. This was recommended to me by a friend a couple of years ago, but it wasn't until I was searching for an audiobook that was available for immediate download (an increasingly difficult feat) that I remembered it and finally listened to it. It's a short book, which sometimes makes a story somewhat forgettable, but this one had a sweet poignancy that I think will stay with me. That said, I wouldn't have minded hanging out with the characters for a little longer. When middle-aged couple, John and Marta, find a boy on their porch one morning, they are surprised and also a little disturbed. Try as they might, they can find no information about the boy save for a cryptic piece of paper from someone (his parents? a guardian?) that says they'll be back for him. What's more, the boy can't (or won't) talk, and so John and Marta are left to deduce as much as they can. Although the whole situation is strange, they both have big hearts that have been longing for a child to love. And so their relationship grows quickly and easily, until one day, when they've begun to assume it will go on like this forever, it comes to an abrupt end. This novel took an unexpected turn toward foster parenting that I absolutely loved. My cousin and her husband have been foster parents for several years, and after I finished this book, I immediately told her about it. Even though it's a middle-grade book, John and Marta's self-sacrifice and non-judgmental warmth will touch the hearts of children and adults alike. Foster parenting is a roller coaster ride of emotions and is not for the faint of heart. This book celebrates those courageous individuals who are willing to share a piece of their hearts with others. What have you been reading lately? Have you read any of these books? Tell me in the comments! 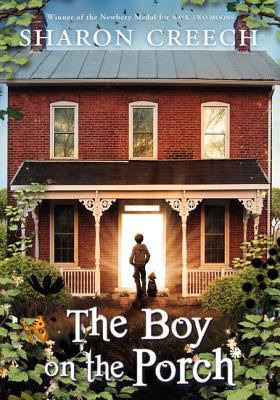 The Boy on the Porch sounds like the middle grade version of The Snow Child, almost. Have you read that one? It's pretty good and has the same basic premise, except it doesn't go into the foster parenting thing. Yes, the beginning definitely has a similar feel to The Snow Child, although the settings are completely different. But the two novels definitely end up in different places. Another family book club! That's what this world needs more of. I'm trying to organize another round for my family, maybe this Christmas. I'm thinking Watership Down.